This aquarium in Batumi, Georgia, is absolutely stunning. 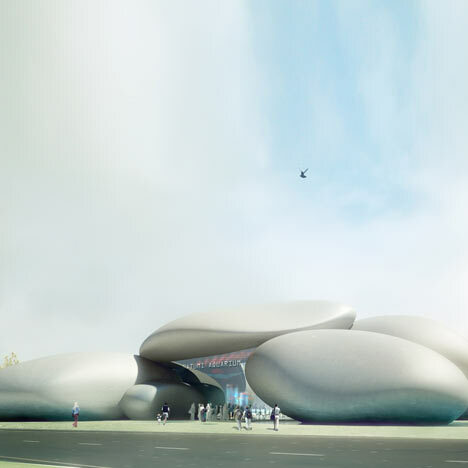 The design concept by Henning Larsen architects is due to feature a pebble-shaped structure, housing an aquarium. Check out Dezeen for more photos and details.